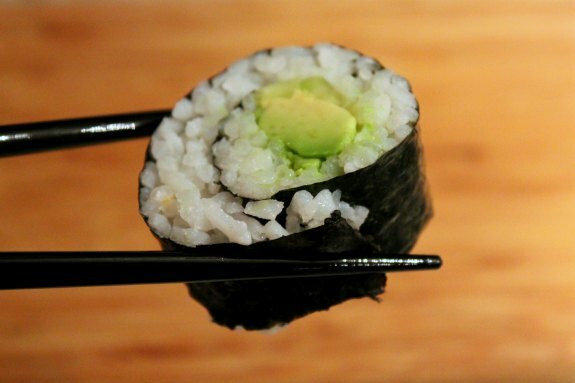 SushiQuik ~ Make Sushi at Home! Our family loves sushi.. a lot. Back when I was in college, I remember when our college campus added sushi to the menu, and I used my meal plan for sushi almost every day. To this day, I could still eat sushi just about every day! Since having kids, sushi is not a part of our daily routine. We rarely go out to eat, and although the kids love sushi too, I don’t make it as often as I would like. The reality is, it isn’t the easiest to make and it can be a hassle. I was hoping SushiQuik would help streamline the sushi-making process! – A Training Frame to help you properly measure the rice. – A non-stick paddle to help you spread the rice. – Two end caps which can also be used as sauce soy holders to dip your sushi roll. – Our super cool SushiQuik Sushi Roll Cutter which will guide your knife and save your fingers! So the first step is to choose your ingredients and make your rice. 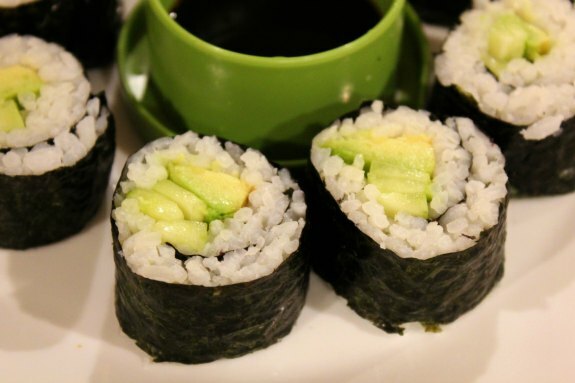 My kids like cucumber and cucumber-avocado rolls, so that is our go-to roll. I also get low-sodium soy sauce since my kids tend to be a bit heavy-handed with the soy sauce! After cooking my sticky rice, I let it cool a little bit. 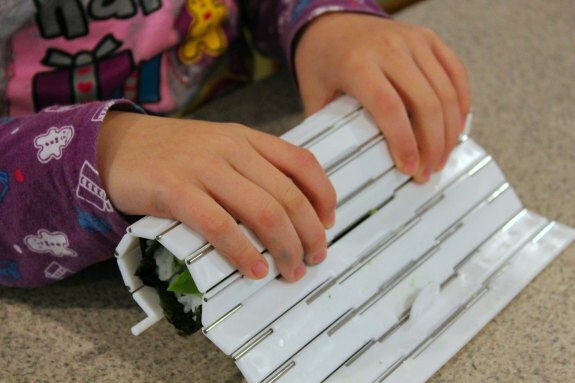 My 7-year-old read the instructions and for the most part, assembled the first roll using our SushiQuik kit! You place a sheet of nori (dried seaweed) on the roller, and then place the frame over it, which serves as a guide for the rice. What I love is that the rice paddle actually does not stick to the rice! Gone are the days of wrestling with sticky rice and the back of a spoon! Next, you take your ingredients and place them about a quarter of the way up the roll. We are vegetarian, so we use either avocado or cucumber and avocado. Next, I put my fingertips on the veggies and begin to roll. (This was actually after we rolled our sushi and took the roller off the base). You want to wet the furthest edge of the nori (which is clear of rice) so that it will stick and hold the roll shut. Use the guide to cut your sushi. 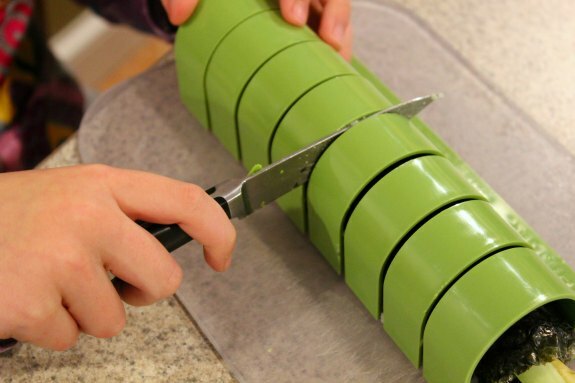 I love this thing, because it holds the roll together and you can cut it evenly. In the past, I have really messed up some sushi rolls trying to cut them, making a mess. You can use the end caps as cups for your soy sauce. We eat a lot of sushi in our house, so we make enough rice to last a few nights. My 5-year-old doesn’t like anything in her sushi, and she doesn’t like me to cut her roll either! 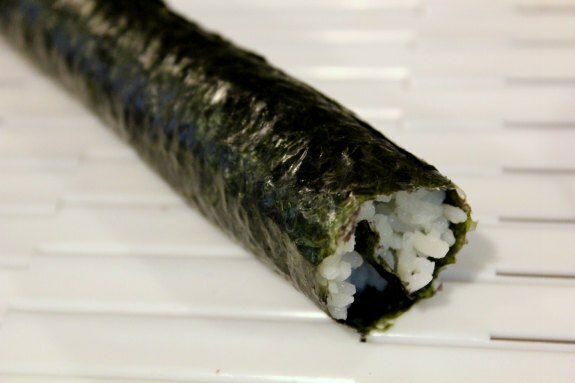 So here is what her roll looks like – I simply cut a sheet of nori in half, and put a little rice on one long edge, leaving about 1/2″ clear, then rolling it like a regular roll. She likes to dip it in soy sauce and eat it as a long sushi roll! 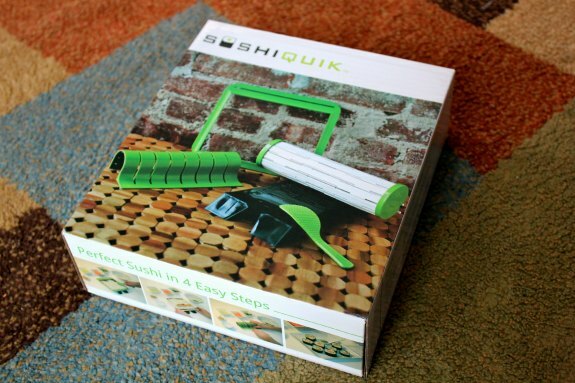 So how does the SushiQuik set differ from traditional sushi-making supplies? For starters, a 7-year-old can do it! In the past, we had a bamboo sushi mat for making our sushi, and that was our only tool. 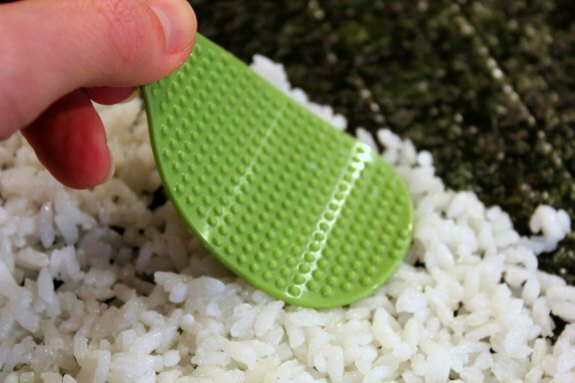 I think my favorite SushiQuik tool is the rice paddle, which does a fantastic job of spreading the sticky rice – without any rice sticking to it. So much better than struggling with a large spoon! I also like the plastic roller, which is substantial and easy to clean. The bamboo roller would get bits of rice stuck to it and was not as sturdy for rolling. 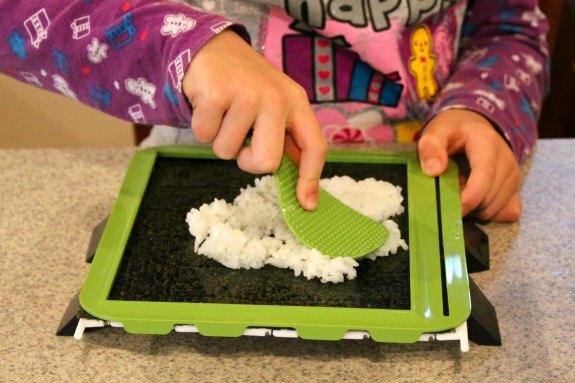 And the guide is a great way to measure where you need to spread the rice on the nori. Overall, all very useful tools for making sushi. I would recommend this kit especially if you are new to making your own sushi. It is so easy to make at home – you can eat healthier, get creative with your sushi, and save money too! My kids love having the option of sushi whenever they like! My kids would have fun making sushi at home with this kit. It looks easy to prepare and fun to make! 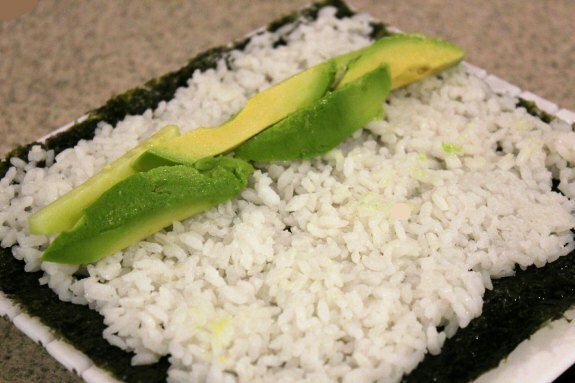 I love sushi, but too intimidated to make it myself because I don’t think that I can roll it. This device looks awesome and will allow me to make my own sushi. If a 7 year old can do it, than I can do it. I think it’s cute how your 5 year old like to eat the sushi roll. My kids love the seaweed paper. I actually have yet to try Sushi, but I have a friend that loves it. 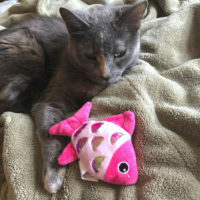 This would make a great gift idea for her. This is really cool! My 11 year old is on this kick to try Sushi and while he did try some, it was from a local chinese restaurant and not sure he got the real sushi appeal from it. I will try to get this kit! You know, I’ve never thought to make sushi at home. What a good idea for parties or when the (grown) kids come over! This kit looks like pretty easy to use. 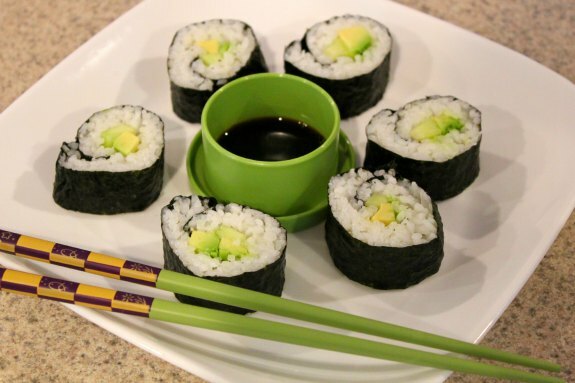 I have never tried making sushi at home but now I want to! What a great gift! My daughter would love it!